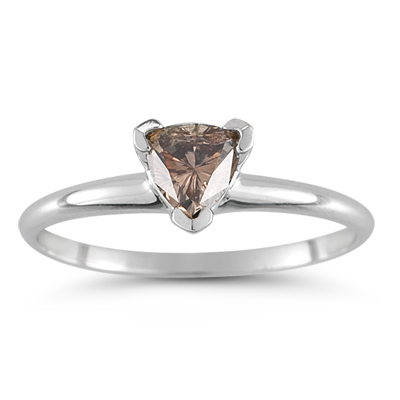 0.51 Cts Brown Diamond Solitaire Ring in 14K White Gold . This luminous Brown Diamond Solitaire Ring showcases an AA quality trillion-shape Brown Diamond prong set in 14K White Gold. Approximate Gemstone Weight: 0.51 Carats. A beautiful ring to verve-up your look.